Today’s technology lets you send an email or adjust a thermostat from anywhere in the world. Vital signs monitoring should work the same way. 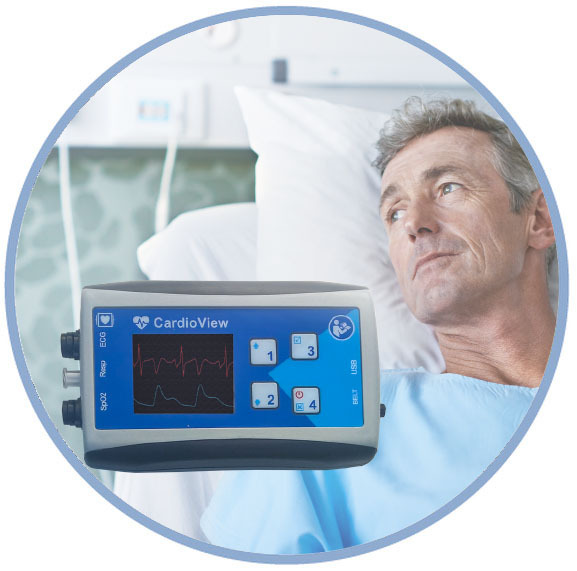 With the BioSigns Telemonitoring system, patients can undergo highly accurate, continuous vital signs monitoring while avoiding the expense and hassle of staying in a medical facility. BioSigns devices transmit data over Wi-Fi or 3G to the BioSigns server. From there, it can be accessed by the BioSigns Telemonitoring Software and Smartphone Apps for near-real time monitoring. A convenient vital signs monitoring system isn’t convenient if it’s not compatible with your current Wi-Fi or 3G network. BioSigns works for you no matter what network you and your patients are on. The server can be located in a hosted data center (cloud) or within the hospital network (local). The BioSigns Telemonitoring Software and Smartphone apps do not have to be in the same network as the BioSigns devices. That means monitoring can take place anywhere and anytime. Logistical problems can stand in the way of perfect vital signs monitoring. Doctors and nurses have heavy caseloads, they’re working busy shifts, and they can’t be everywhere at once. That makes it easy to miss a warning sign. BioSigns is designed to overcome these hurdles.